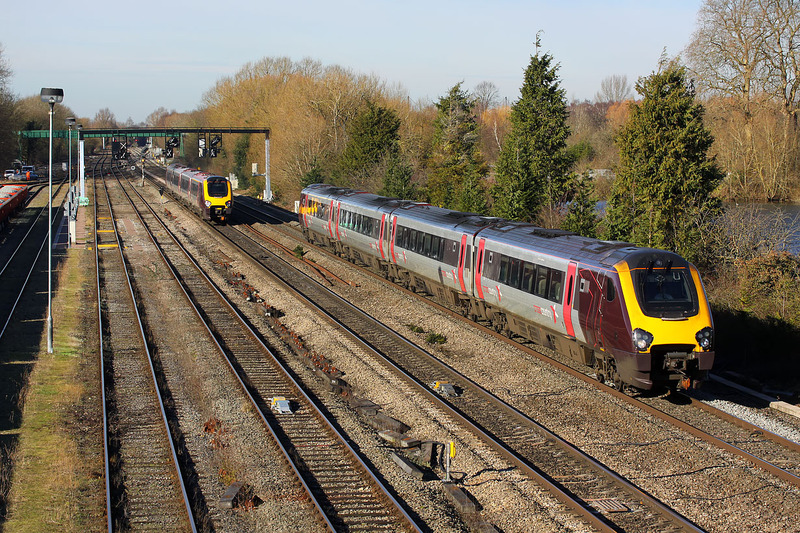 A CrossCountry meeting at Hinksey on 7 February 2018. 220031 heads south with the 1O86 09:35 Newcastle to Southampton Central service, passing 221144, which is working the 1M46 11:45 Bournemouth to Manchester Piccadilly. This was running 9 minutes late. The trains should have passed each other just north of Oxford station.